TANFON inverter promise full power capacity output, Have service evidence to choose us to be safer. 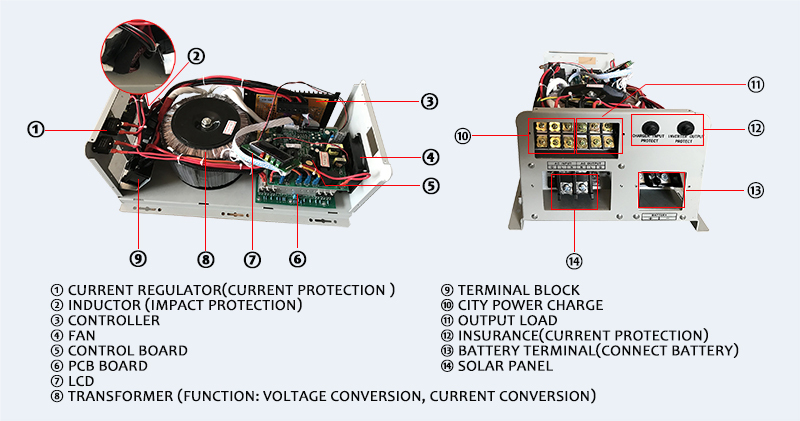 WSC5K off grid 5000w solar inverter with built-in MPPT controller, wall mount design, easy installation. 1.DSP,the whole series controlled by program of DSP intelligent chip. 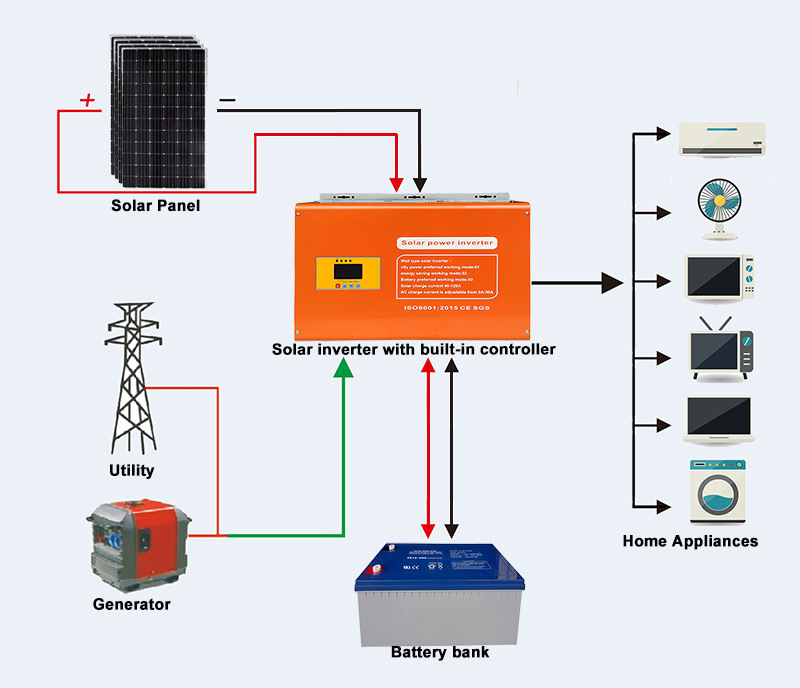 2.LCD,The whole series with automatic AC charger and automatic AC mains switch function.Switch time within 5ms. 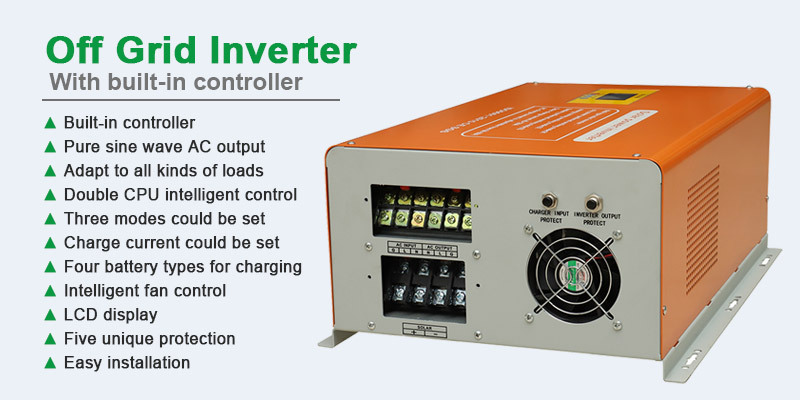 3.Continuous Stable output voltage,No matter how low or how high the AC input voltage is ,with voltage stabilizer our inverter provides standard 110v or 220v stable output ,which keeps the loading works stably.wide stabilizing range of AC input optional. 4.Original imported MOS tube,Brand new and imported U.S brand infineon IR MOSFETs are used for the whole seriesIR4768,IR3205,IR4310. 5.Super load capacity,three times peak power of rate power. 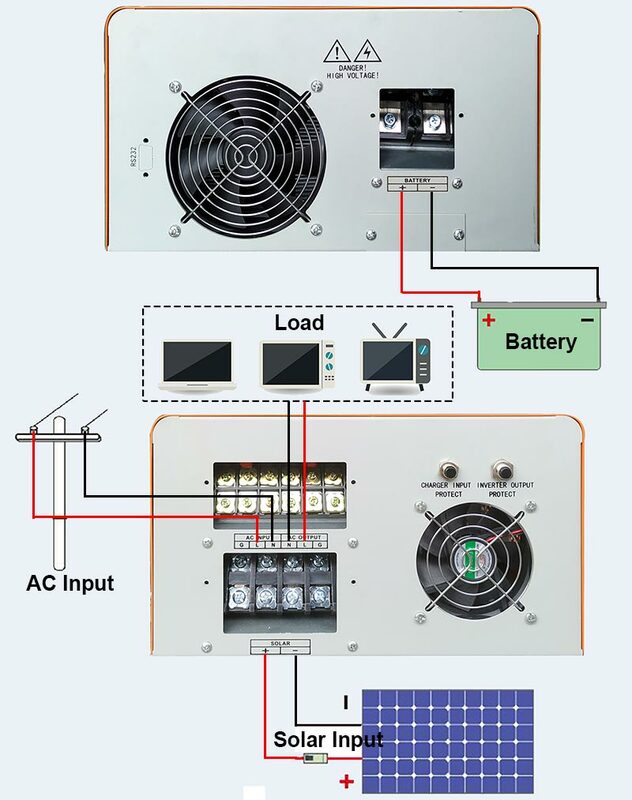 6.Two layers PCB board,real isolated input and output,they will not influence each other during operating.such design is in order to improve the stability of the inverter,and it is easy to detect faults and maintain. 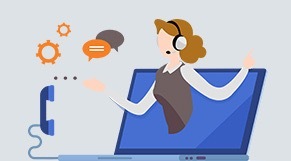 3.perfect after sales service system:Contact us ,we will help you quickly find the problem,then give you fast service . 6:quality utmost:Each inverter has tested by power-off test of 100 times per hour. 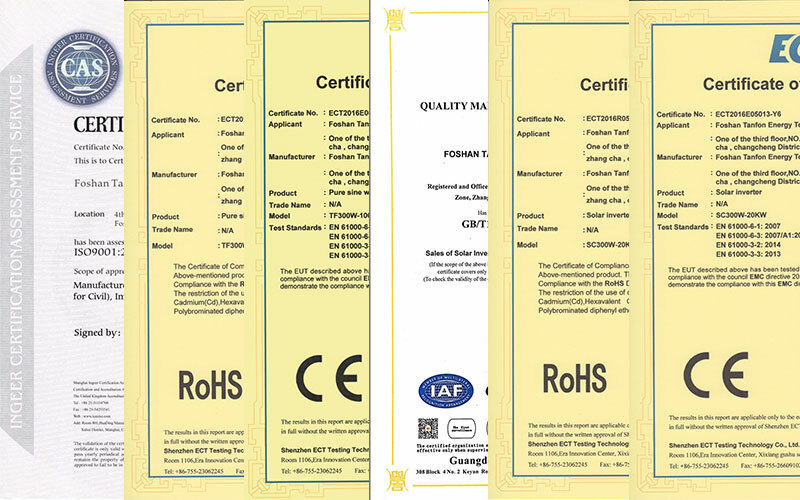 We have ISO9001, CE, RoHS etc. Contact us to get more details now !